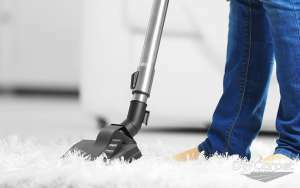 Irrespective of how best you try to keep your carpet clean by cleaning it regularly, it will sooner or later become a victim of accidents, spills and whatever is on your shoes’ bottom unless you are a pro. However, learning from carper cleaning pros in Singapore can go a long way towards ensuring that your carpet remains clean and look like a new one at all times. 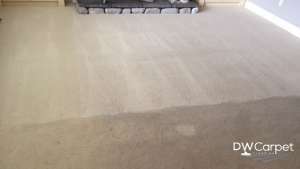 Professional carpet cleaners know the problem areas and how to handle them perfectly. No wonder most people seek for carpet cleaning services from professionals. Here are some of the best cleaning tips from experienced carpet cleaning experts. For a carpet to look fresh and new, you must clean it regularly. Steam-clean your carpet by injecting a cleaning solution under pressure deep into your carpet through water-jet nozzles. The machine will extract the cleaning solution together with debris and dirt in your carpet. Professionals recommend that deep cleaning should be done twice a year for a house with four people. Candy will eventually end up in your carpet if you have children in the house. When that happens, scrape it using a butter knife or a spotter brush. After which, mix water with a mild soap then apply on that spot using a sponge. Be sure not to leave any sugar on the area on your carpe. Otherwise, that area will attract debris and dirt very easily. After removing the candy, blot the spot using a towel or a clean cloth to dry the area. Pets, however much they may be trained, can sometimes have accidents on your carpet. Professionals who provide carpet cleaning services in Singapore always use organic cleaners instead of chemicals to clean pet accidents. Spray the organic leaner on the area where the stain is and do some scrubbing. After scrubbing, use a towel or cloth to wipe up the organic cleaner. You may cut your finger accidentally and blood will drop and stain your carpet. Get hydrogen peroxide to remove those blood stains. Start by using water and detergent to loosen up the dried blood. Then try to scrap off the blood. Lastly, apply hydrogen peroxide directly on the stain and the solution will foam the moment it come into contact with blood. Dry the area by dabbing the hydrogen peroxide using a towel. Ordinary shaving cream can remove almost any type of stain on the carpet. Apply the cream to the stain directly and wait for about 30 minutes for it to set. Now, use a dry cloth to blot it away. Finally, spray the area with one part water mixed with one part vinegar before using a cloth to wipe the solution away. Rubbing the stains will cause small particles to go deeper and get ground on into the fibers, and this will cause premature breakdown. Simply use a sponge, paper towel, or a cloth to dub the stains on the carpet with a cleaning solution. Blotting is the main idea here. It soaks the stain very easily by putting just a small amount of pressure on the same. If wax drops and dries onto your lovely carpet, heating it back will remove it easily. Put a clean cloth over the iron and put the iron on top of that wax to heat it up. Next, lay a white paper towel on top of that area then iron on the paper. The wax will melt and bind to that paper. Few drops of a grease-cutting dishwasher detergent like joy in water will remove any stubborn grease stains. The detergent cuts through grease stains. Use a spray bottle to spray the solution on the stains before blotting it up. Chewing gum can stick onto carpets. If you have this situation, take few ice cubes and use them to freeze the gum for a half an hour. The gum will be frozen and become a solid. Lift that solid up using a spoon and cut those carpet strands close to the gum. Club soda will remove wine and beer stains. Put the soda on a white cloth and blot the spot with it. If this fails to work, you can mix one part water with one part vinegar and pour the solution into a sprayer. After that, spray the solution thoroughly on the area containing stain and let it soak in for 15 minutes. Use a sponge to press onto that area to soak up the stain and solution. Finally, rinse that area using warm water.